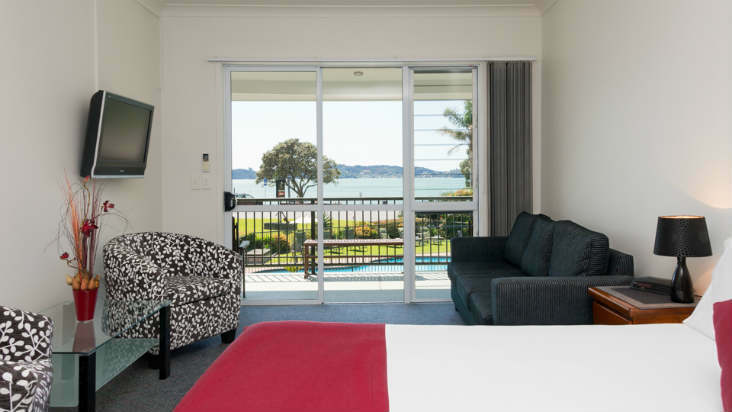 Luxury waterfront motel accommodation Paihia. 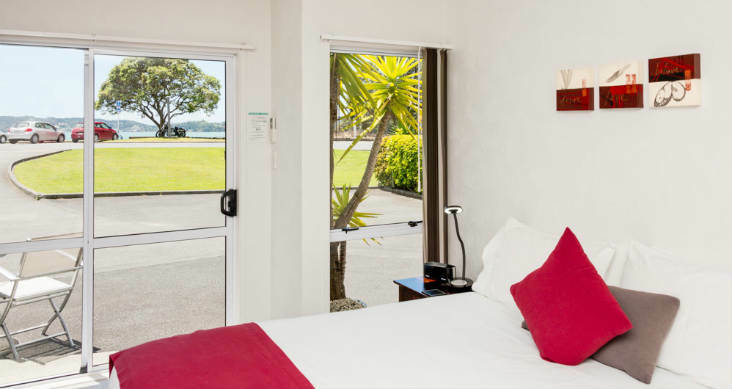 Anchorage Motel offers a range of quality self-contained studios, one and two bedroom suites in the heart of Paihia, Bay of Islands. 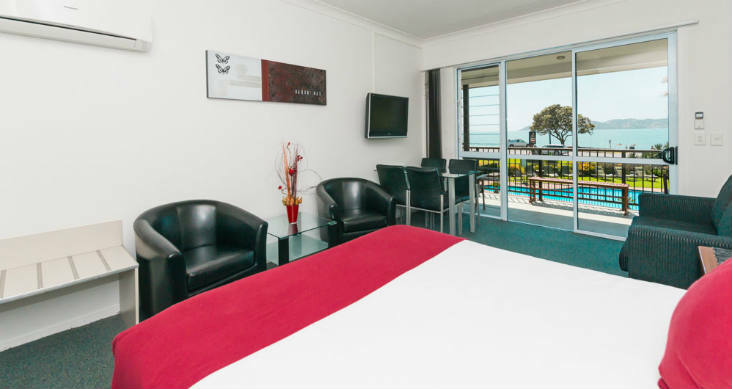 Anchorage Motel is the ideal beachfront accommodation for couples, family groups, honeymooners and business travellers whether on holiday, escaping from everyday life, here on business or looking to explore the Bay of Islands and the Far North from our perfect location. Enjoy our fresh, modern and inviting suites. Enjoy Sky Guest Select 50+ channels and free WIFI. 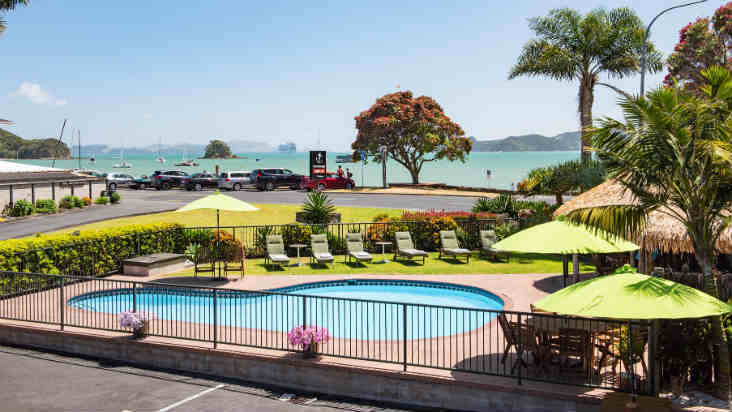 During your stay at the Anchorage Motel you can relax and enjoy the hotel’s large salt-water pool and covered hot spa pool in a tropical setting. Relax on one of the sun loungers and enjoy the magnificent views out over the bay or enjoy a BBQ.